I remember as an intern at IBM in Charlotte in 1992 that the computer science community debated what was the "best" desktop operating system. 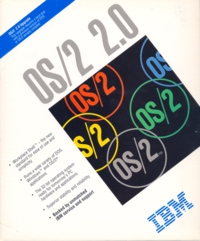 Is it Windows 3.1 or IBM OS/2? My office desktop at the time was an OS/2, yet I had a Windows 3.1 at home and in the labs at Appalachian State University. To me the "best" was whatever operating system provided most growth of my knowledge and the greatest potential of growth for my career. I believed Windows 3.1 was the "best" because I had heard it was the best and it was more widely available. However, I learned while using OS/2 at IBM that it was superior to Windows 3.1 in terms of various technical capabilities. Once I felt that I knew both operating systems down to a medium level, I determined that there was only one question remaining. 'Which operating system will provide the greatest potential growth of my career?' A long story short, I left IBM in 1995 well before Windows 95 was released. I haven't touched OS/2 since. What is the point? I learned a lesson about the computer industry at that time that is still relevant today. While working on ScrumTime (off and on) during the past five years, I have learned three web technology stacks: Ruby on Rails, Grails (java based), and ASP.NET MVC. All three have been very beneficial to my career. Ruby on Rails is a fantastically concise, clean, and stable web development experience. However, it has never had the developer following that a Java or a Microsoft solution has had. Therefore, I have not pursued Ruby on Rails with ScrumTime or with my career. Grails is basically a knockoff of Ruby on Rails. However, it was being pushed in the Java community around 2007 and 2008 which is why I decided to learn it. As a result, releases 0.4, 0.5, and 0.6 of ScrumTime were implemented in Grails. I am a huge fan of Grails and I would like to see more Java developers implement projects Groovy and Grails. ASP.NET MVC is not as concise and clean as either Ruby on Rails or Grails, but it has a huge following in comparison. Once I realized that it was open source, I decided to implement ScrumTime 0.9 in ASP.NET MVC 2 hoping that ScrumTime users and developers would find it useful. There has been more interest in ScrumTime since switching to the Microsoft stack, but I suspect it is because more features were made available in 0.9 release than in any prior release. After trying Grails and ASP.NET MVC implementations of ScrumTime (and other applications), I do not claim that one is the "best". However, I can say that one fits the needs of ScrumTime better than the other. I used the following points to make this assessment. Using a language or platform that is known to a large number of developers is important to keeping an open source project relevant over the course of time. Indeed.com indicates that the need for Java developers is about the same as that for .NET developers. When combining words "java scrum" vs ".net scrum" the winner seems to be Java. Also, combining "java web" vs ".net web", Java is the winner here too. Indeed.com indicates that the need for ASP.NET MVC developers is greater than the need for Grails developers. This point is effectively a draw between ASP.NET MVC and Grails simply because both are still very new technologies. ScrumTime should be easy to deploy on all popular operating systems. The Java platform may be deployed on whatever operating system you like with greater ease than the Microsoft ASP.NET platform. The mono mvc project has potential but it does not seem to be mainstream among ASP.NET developers. Open source solutions that are not easy to deploy are not often used. Grails applications deploy as war files which are the standard for all Java based web application deployments. These indicate that Grails wins this point. The Groovy language is more concise than all existing .NET languages that support MVC. At first glance, this sounds like a subjective point. However, I can prove that the number of lines to implement ScrumTime in Grails is fewer than the number lines required to implement ScrumTime in ASP.NET MVC. Developers that are new to a project or technology will more quickly ramp up when the total breadth of a project is smaller rather than larger. Like Ruby, Groovy is very expressive and conveys only what is intended within a convention. The downside is that the developer must understand the convention in order to clearly understand the source code. However, the convention is the same across all projects regardless of the author. As a result, the developer will quickly understand the source for all other projects in the future. ASP.NET MVC also follows convention over configuration to a point. 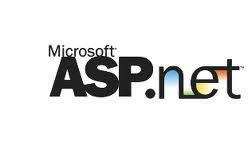 However, it is simple to fall-back to non-convention following practices with ASP.NET MVC. As an initial developer, that is an awesome feeling to throw anything in wherever I choose. But, it is not so great for the developer that must support the product. Grails seems to win this point. When considering these points, it seems that ScrumTime 1.0 should be implemented in Grails. However, the story does not end with ScrumTime 1.0. The plan is that ScrumTime 1.0 will have the ability to support mobile browsers and even offer a JSON/XML interface to native clients such as iPhone, Android, and desktop applications. These mobile and desktop native clients will most likely use the ScrumTime 1.0 RESTful interface and they will have their own release cycles. It is my hope that other developers will be inspired to create their own open source projects to implement such clients. If not, I may get around to it some day. I am planning to begin the project with two implementations...one in Grails 2.0 and the other in ASP.NET MVC 4. It seems like a waste of time, but I think it will be good research and I plan to document my findings. I have found that the term "feature" in the context of scrum can be a bad word among purest. Many software engineers that practice scrum use words such as user story, task, points, actor, sprint, iteration, chicken, pig, etc. However, if you are software engineer that has had the pleasure of working directly with your customers, you have found that they do not necessarily know what you are talking about and they probably should not need to know. Therefore, the term "feature" rears its ugly head in order to bridge the gap between your jargon and the language with which they are already familiar. I say ugly because many purest view the term "feature" as a throw-back to the waterfall model. But, I claim that a feature is really the high-level manifestation of a collection of user stories. As an anonymous user, I must login to the system in order to be granted the correct access rights within the system. As an authenticated user, I want to be able to log off the system because my computer is shared with other users. When speaking directly to my customers, I generally map the user stories to "features" in my head or on paper for their benefit. However, it becomes easy to lose track of this mapping in more complex scenarios especially when dealing with multiple customers at one time. Regardless, all of my customers want to be billed based on satisfactory delivery of "features" and not user stories (if you have had a different experience, please let me know your secret). It has been my wish for several years to work through a solution that would bridge the gap between the impression that the customer has of the product in terms of billing with the impression that the software engineers have in terms of creating the product. Also, the feature may be assigned to a release but not to a sprint. I consider "release" to be another one of those terms that is important to the customer but not important to the software engineer. For example, a customer may say that they want a specific feature to be in a specific release. From the software engineer's point of view, the set of user stories that make up that feature must be implemented by the end of a specific sprint. In fact, it may take two or more sprints to complete all of the stories that make up the feature. This sort of visibility must be available in ScrumTime 1.0 or I will have no use for it in my day-to-day work. Yes, I plan to use ScrumTime 1.0 day-to-day. One of the main benefits that I look forward to is that task work hours will now bubble up to the level of features providing a actual billable hours for the customer. In the past I have had to rely on my own custom spreadsheets to keep track of the mapping and the correct hours to charge. Based on my experience, I will need the ability to credit hours at the feature level in the event that a task takes more time than should be billed. This topic leads to an entirely new aspect of the ScrumTime road map known as the planned customer view. The idea is to allow your customers to be able to login to your hosted ScrumTime in order to submit new features, approve cost estimates per feature, and participate in the product discussions that require their feedback. Using the terms "feature" and "release" make this sort of customer self-service more feasible and attainable. In summary, I plan to add a new level into the existing ScrumTime work item hierarchy known as the feature level. This will provide a bridge between the customer point-of-view and the software engineer point-of-view. The benefit is that the tool will be able to track more of the customer feedback loop that is vital to successful software development projects. Over the past week, I have been evaluating the three different micro orm choices in the ADO.NET arena. The three most popular seem to be Dapper, Massive, and PetaPoco. Scott Hanselman had an enlightening post on this topic about a year ago at: http://www.hanselman.com/blog/HanselminutesPodcast262TheRiseOfTheMicroORMWithSamSaffronAndRobConery.aspx. I believe that was just before PetaPoco started to gain notoriety as he covered only Dapper and Massive. Massive is very flexible in that I am able to map the columns of the database to a dynamic object. However, I want to have strongly-typed objects in ScrumTime so this eliminates Massive. Dapper appears to run the fastest from all that I have read and experienced on my own. It is very good at mapping database tables to strongly-typed objects for querying data. However, the process of inserting, updating, and deleting objects is not so clear. I have found that there is an extension to Dapper within the github Dapper repository that has insert, update, and delete capabilities. I am going to research that as soon as possible. UPDATE (01/22/2013): Dapper has two separate extensions that offer two different excellent solutions to my concerns. The two project names are Dapper.Contrib and Dapper.Rainbow. The Dapper.Rainbow appears to be a perfect fit for what I was seeking. PetaPoco is very promising. In fact, I have already made significant headway in using this ORM in my Product repository. I did have a small learning curve to overcome in using the SQL Builder that was included. In general, I have debated the use of model attributes that identify the table name, primary key, etc. It seems to pollute the model with information that is not relevant to the model itself. It is more relevant to the method of storage which I intend to be encapsulated within the repository layer. But, I suppose it is much better than defining XML files as is the option in other more bloated ORMs. So, I am probably going to live with it because I cannot come up with an alternative that is as easy to follow as attributes. Therefore, I have no concrete concerns other than it seems to be a 'smell'. At this time, I have reduced the three choices down to two choices: Dapper or PetaPoco. I suppose that is progress. UPDATE (01/22/2013): I found that Dapper and PetaPoco support of concept of "Multiple Querying" in order to solve one-to-many and many-to-one relationships. I am a huge fan of this approach. At this time, I am using PetaPoco only because it comes with a TT file for generating my model objects quickly. I am sure I could create a TT for Dapper, but I have not had the time.